MOSS HYSTERIA: Best (way to) Buy? In the same edition as a story on President Obama's woes about stagnant job growth, and a story on the irony of social sites not offering personal customer support by phone, The NY Times had a small piece today about Best Buy laying off 1.4% of its job force. "Best Buy is trying to combat showrooming at its stores, as consumers test out products there, then go home and buy them cheaper online or at discounters." What are the options for keeping the customer satisfied, and competing in a groupon-tinged bargain-based world? Seems to me that we all want to still see and touch the goods. And we all want customer service to understand the goods. And we all want a bargain...and are empowered to find one or risk buyers remorse. So where does that leave a retailer like Best Buy? What's in it for them for providing the venue and the service and missing out on the sale if the cost of bricks and mortar means not competing on price with online retailers? Well, we could look at Horn and Hardart... If you could browse the goods on a basic display level and buy at a competitive price...but to touch and feel and actually get customer support and interaction you paid an up charge would you do it? Think of the automat with people. Insert a little more and the helping comes out. Make it easy to comparison shop, too. Maybe add the virtual mall touch that the Japanese have created, where we all go to a wall of online images and select from there? All I know is something's gotta give. There has to be a happy medium for a better way to buy. Excellent question...and I like where you're going with a solution. 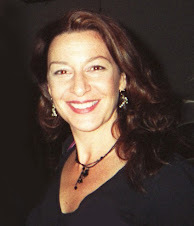 Love your marketing expertise! The current Best Buy solution isn't going to make things better...customers will just get frustrated with fewer people to help them and walk away with a bad feeling for the store. I'm not sure the Japanese virtual mall would satisfy people's desire to touch and feel and see products (idea later), but I think you're dead on with the Automat idea. Best Buy could provide a dual-tiered solution. Challenge: Someone online is ALWAYS going to beat Best Buy or any other retailer on price...they need to adapt and make price less of a make-or-break factor. Ideas: 1) Online: Best Buy is already catering to the "in a hurry" or "techno-geek" customer with their order on line and pick up at store program. No muss, no fuss...you know what you want, order it and pick it up. 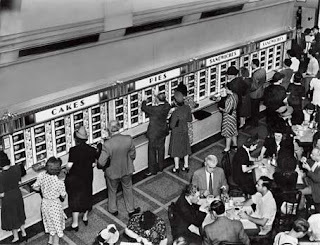 2) Your Automat Idea expanded: (I had in mind the Macy's idea from "Miracle on 34th Street"..."Macy's is the helpful store...") Minimize the floor space the games, the music, etc. take up...you could use the virtual wall idea from Japan as a replacement. Consumers find the game/cd/etc they want via a kiosk, enter their name, order it and it is delivered to the checkout. They put on additional in-store & behind the scenes personnel. These people are trained for a minimum of a week on the in-store merchandise & consultant selling before they interact with customers. Then they have weekly update classes (for which they're paide) to introduce new products. For each person there is a dedicated computer spread around the store with a specially designed "Get the BEST buy with Best Buy" (ok, maybe a little corny for a name :-)) program that has two seats. Fill up the floor space with electronics inventory that isn't crammed into 3 shelves. The personnel are there for answering questions, showing the products, explaining what all the specs mean and matching the product with the consumer needs and actual uses. Most of us can look at the online spec comparison, but how many REALLY know which specs are important and which are just techno fluff? When the customer has their questions answered the associate gives them a price and offers to check other retailers (brick & mortar and retail) thru the comparison shopping program. This program could just scrape info from the top 10 or so sites and automatically update. The associate then shows side-by-side comparison. 1) Saving time & instant gratification...if the others prices are close to Best Buy's (say less than 5%), they offer to match the price and the customer can have their product today. 2) Free Geek Squad. If the prices are a litter farther apart, give them free installation by the Geek Squad within 24 hours. Takes away the hassle and the headaches. 3) Free extended warranties. I know they are making some $ from this, but personally, I very rarely ever buy these. In listening to consumer experts they seem to agree...most of the 1-2 year warranties are wastes of consumer money because relatively few problems occur in those times. The consumer does perceive some monetary and definitely some security value. Wow Craig, what a comment! Great thoughts.